Trucking is a profitable aspect of transportation business and it tends to favor most people who do it in the right way. If you’re able to set up a trucking business and provide it with all the legal and managerial requirements, you can expect to rake in quick profits once your trucks start helping customers to haul their loads. Starting a trucking business isn’t that hectic and if you’re bent on establishing a trucking company of your own, this article could be the helpful content that would guide you on how to set your feet on the ground. It is also essential to note that each state has a minimum requirement to be fulfilled before you can run a trucking company. Do well to research these requirements. However, a few of the basic demands will be covered in this post. 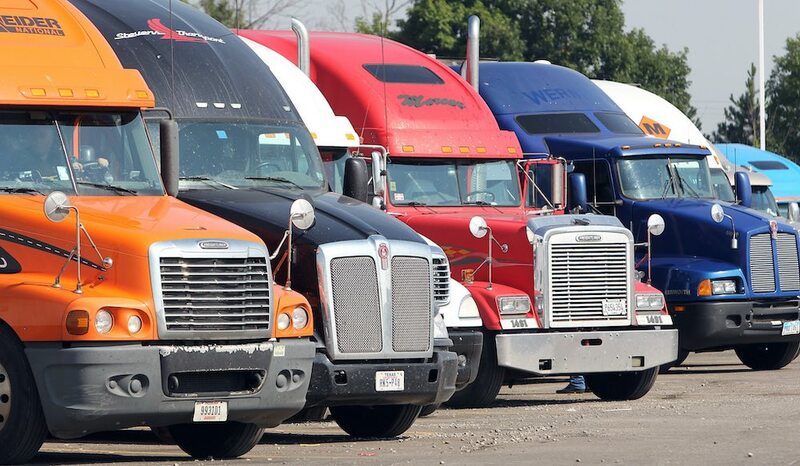 A certain level of experience might be needed to start a trucking business and succeed with it. While you can choose to start as a company driver, it’s also a great idea that you enroll in a training program at a trucking company. In fact, a majority of the owner-operators out there were once company drivers. Also, you’ll have to obtain a CDL (Commercial Drivers License) which the trucking company you enroll for is likely to pay for. Like many other businesses, a trucking business can have any of various types depending on the number of persons that will own, finance and manage the business. If you’re comfortable with being the sole owner of the business, you can establish it as a Sole Proprietorship. The other types often require joining hands with a certain number of persons and they include LLC (Limited Liability Company), partnership and corporation. Each of these trucking business types has its own advantages and disadvantages which often change depending on your state of residence. If you’re still worried about the suitable type for you, it could be a helpful suggestion that you get in touch with a business consultant who should put you through. Your start-up expenses can be quite overwhelming especially if you’ll be buying all the trucks, trailers and/or any other equipment you need for business operation. Perhaps, your start-up expenses make up the essentials for any successful business establishment. So, you should be ready to incur several expenses including the costs of obtaining licenses and getting your business registered. Importantly, sufficient funds should be set aside for the trailer(s) you’ll be hiring or leasing. Not just any business plan but a well-written business plan is needed for a trucking company. Meanwhile, it will serve as an essential document defining important business details including your projected expenses and your estimated revenue. While it’s a reasonable suggestion that you browse the internet for a couple of clearly written business plans relevant to a trucking company, you can also consult a business adviser and ask him/her to help you with professional recommendations about what should be included in the business plan. Remember, your business plan has to be professional and attractive as you may have to tender it if you’ll be approaching a private investor for start-up funds. It’s very important to comply with these safety requirements and pay necessary fees (where they are required) before you can get your business off the ground. while each for-hire carrier is expected to have Operating Authority –issued by the DOT (US Department of Transportation) –in order to transport freight from one state line to another. IRP (International Registration Plan) and USDOT Number (a number used in gathering and keeping track of your company’s crash investigations, inspections, safety information and so on). Trucking could be an exacting task particularly if you’d be operating several trucks at a time. In consequence of this, you may have to hire employees who will handle certain aspects of the business operation including paperwork, accounting, invoicing, etc. While certain staff members may be required to find loads for your trucking business, several others will be needed to handle critical tasks including maintenance and parking. If you’re really keen to operate on a pretty large scale, you’ll need several trucks and/or trailers and this consequently means you’ll have to hire a number of employees. Business insurance is mandatory for your trucking business and you’ll be required to obtain a number of insurance covers to ensure critical aspects of your business are protected against unforeseen circumstances such as accidents inflicted by others. Below are the insurance covers you may have to obtain. This provides coverage for any damage caused to your truck in accidents you’re not responsible for. This provides coverage for the injury/damage caused by an accident you’re responsible for. This insurance coverage should cost you the minimum $750,000 but a majority of brokers and shippers charge the sum of $1 million. If your truck is stuck in an accident in a situation where you aren’t transporting freight on behalf of someone else, non-trucking use is the insurance that covers your liability. This provides coverage for any damage inflicted on the freight you’re hauling. While $100,000 is the fee commonly charged for this type of insurance, the freight you’re hauling often determines what you’ll be charged. Once you have fulfilled all that is required for legalizing your business operation, covered start-up expenses and purchased/leased a truck, the next thing is to market your business so that you can get substantial loads for your truck to haul. Nowadays, people use social media as an effective tool for reeling in customers but you can go beyond this by creating a responsive website for your trucking business. Over and above that, you need tools such as TruckersEdge that enables you to access the largest load board in the trucking industry.